Taught by the tale "Morozko"
Heroes of Russian fairy tales are often magical powers, which in ancient times served as an object of people's faith in the mystical reality. Every fairy tale has its own unique character – one picks intrigues, another brilliantly defeats the villain and lives happily ever after. However, in many positive characters are quite difficult to isolate the best hero. 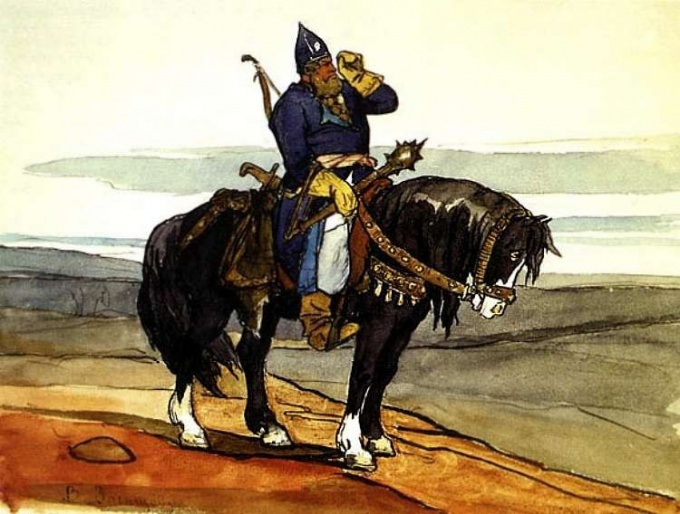 A considerable share of the charm of Russian folk tales is that the good in them can be anyone – minded peasant's son, a spoiled Prince, and even the gray wolf. One of the most popular positive fabulous images is a hero who possesses remarkable physical strength, stamina, courage and kindness. Ilya Muromets, Nikitich and Alyosha Popovich – Russian heroes, not afraid of three-headed Snake dragon, Nightingale the robber and combines a brilliant mind, wit and cunning. Often in Russian fairy tales meet and kind animals – horse, wolf or dog, which symbolize intelligence, cunning, loyalty and faithfulness. Another widely known fairy tale character is a collective image of a simple Russian guy, Ivan. Ivan always noble, brave and kind. He has shown unprecedented heroism and saves the Kingdom from evil forces. Ivan the fool - another favourite positive hero of Russian folk tales - most often it is the youngest son in the family, but the most talented and unique. He is able to understand animals, and those willing to help Ivan fight evil. To answer the question "which character from Russian fairy tales the kind?" only practical effect the purpose of good deeds. So, of course, can be called the good Ivan, who bravely goes to battle with the dark forces, not thinking about his own welfare. The true good in the first place, is determined by the selflessness, as the hero who performs noble deeds for the benefit, becomes a simple mercenary. Traditionally good characters in fairy tales help the world restore the natural balance of good and evil, preventing the antagonist to realize his evil plans. Therefore, this good deed can be made only when the hero is guided solely by the breadth of his soul. Such characters are Jack frost, Santa Claus, Vasilisa the Beautiful, godmother fairy Cinderella and other characters who do good for good, without expecting any reward in return. Thus, the award of the title of the good fairy with the heroes of each of these characters as the struggle with evil it is not so much skill, how much the intention, and the intention of each of them is, undoubtedly, the most that neither is noble.